Location : Manali on the Beas River valley, is an important hill station in the Himalayan mountains of the state of Himachal Pradesh. It is located near the northern end of the Kullu Valley. It is administratively a part of the Kullu District. Manali is a small little town and all the places to see can be done pretty much in a single day. 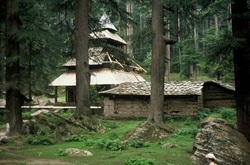 Hadimba temple is Manali’s oldest shrine and it is located north-west of the Mall (the center in Manali). About twenty minutes of steep walk along the Hadimba Road or a five-minute drive, takes you up to this temple dedicated to Hadimba ( the wife of Bhima, the protagonist from the renowned Indian epic Mahabharata). Hadimba is considered to be an incarnation of goddess Kali in Hindu mythology. Legend has it that the kingdom was presented to earlier Rajas (kings) of Kullu and hence in respect to this day Hadimba is referred as ‘grandmother’. The structure of the temple is three tiered rectangular dome-like wooden construction with wonderful carvings of elephants, crocodiles and folk deities on its façade. The small door leads you to a little gloomy worship place with a hollow in the middle, which as per the belief carries Lord Vishnu’s footprints. One of the stones inside also serves as the platter for sacrificing goats and buffalos during important rituals. Old Manali, as the name suggests is the older part of the town that gave birth to its new namesake ‘Manali’, lies north-east of the Mall and still returns traditional feel, along with its architecture of the old Pahari style houses with stone roof and wooden balconies. A walk thru the village takes you across a string of small guesthouses and cafes. At around the center of the village lies a new temple dedicated to sage Manu. Manu, the author of widely read Hindu law book ‘Manu Smriti’ is also considered the father of caste system in India. Manali has perhaps the highest concentration of Tibetan refugees in the area, hence a religious place is not a surprise. The monastery structure stands out with its bright yellow colored roof of the Gadhan Kehhokling Gompa. The monastery was built in 1969 and is largely maintained thru local community donations and the sale of carpets hand-woven in the temple workshop. Vasisht village is about 3 kms outside Manali. It is famous for its sweeping valley views and its sulphurous hot water spring. The village is considered the epicenter of budget travelers by some (however we would suggest it to be more of a back-packers center). The village also has some fine shops of Tibetan and Kashmiri arts along with a wide selection of jewelry. Shopping in Manali Tourism is mainly restricted to Tibetan and Kashmiri arts and handicrafts. Manali provides a great souvenir shopping opportunity with its wide variety of local stores selling shawls (Kullu and Kashmiri) and other jewelry and embroidered stuff. The village Vasisht boasts of a Gem store (owner named Shafi) that deals in semi-precious stones, unset stones, silver ornaments,carpets, rugs and shawls. This corner shop just below the main square in the village will suffice all your jewelry shopping needs in this region. With wide variety of shawls and stoles, both Kullu pattern (cheaper in price but with distinct pattern) and Kashmiri style (hand – embroidered are a delight) theplace is packed with stores. Remember ‘BARGAINING’ is the name of the game. No matter what anyone says the only person to beat the price is going to be you. So put on yours ‘Shopping hat’ and enjoy the leisure. Even though we would like to suggest you of shops to buy shawls from, all we would recommend is to look around the Mall and the road off Hadimba Road to search for your prized possessions. You can also read our general shopping tips section to find out more on shopping in India. There is not much of nightlife in Manali Tourism . As a matter of fact you may consider it to be non-existent. However, there are a couple of places you can go to grab a glass of drink. For Techno enthusiasts there is an occasional rave in the village Vasisht. Two places to grab a drink are Khyber (on the Mall) and Johnson's cafe (old Manali Rd). Johnson's Cafe plays music and also serves alcohol and dinner. Even though there is a discotheque in the Manali social club, there is not much of an activity there. You will be better off asking someone on current happenings (if any), once you reach Manali. Manali with its number of Tibetan refugees and eclectic mix offers a wide range of eating options for people from all walks of life. Most of the food is very reasonably priced and you can have a sumptuous meal for about $ 6 dollar (for two people without drinks). Yet again there are cheaper options available everywhere, for as little as around $1.50 in the restaurants across the bus stand. The main difference is not really the quality of food itself, but also the ambience and exclusivity of the finer restaurants. We would suggest you to try out the eating joints across the bus stand as wellespecially for the vegetarian food. Try a good roadside ‘Dhaba’, kind of restaurant ( shack) located generally off the highways. Most of these places are clean and have a distinct taste. Some provide a typical home like meals for even less than a dollar. Another thing that one needs to be careful in India is about the water your drink. Always carry ‘mineral water’ (bottled water, available everywhere in general grocery stores and other convenience shops. The following restaurants are all around the Mall area. Mayur, Mission Rd, just off the Mall. 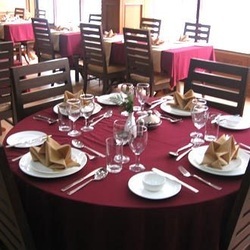 A very cozy Indian restaurant with nominal prices offers wide variety of Indian dishes Recommended for food. The restaurant offers a wide variety of Tibetan food along with some contemporary meat / chicken platters. Nice ambience Recommended for food. Sagar, the Mall, just below Old Manali Rd. The restaurant caters to your south Indian palette. Wide variety of south Indian and Gujarati food recommended. Near the Mall this place is known for its breakfast. Near the Mall, a bakery with good choice of breads and breakfast. Good place to handout, grab a coffee/tea and chit-chat. The owner (Himanshu) is enthusiast who also organizes treks to trips. A restaurant upstairs provides choicest meals along with drinks. Sit by the window and watch the world pass by. 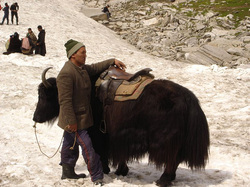 This trip takes you the enchanting Solang valley with excellent views, ski slopes and artist Nicholas Roerich. This includes a visit to Vaishno Devi, a cave temple in which is enshrined an image of the goddess. This trip takes you through the town of Kullu, which is famous for its shawls and Dussehera Festival. After Kullu, you will pass through the Parvati Valley on your way to Manikaran. The scenery in Parvati valley is on a wilder side and much more impressive than that of Beas Valley. The trip passes thru various little towns, if you have you own ride you can stop at various points upto Manikaran. This trip can easily be done in one day. However if you feel like spending more time at any one place, we would suggest you hire your own car rather than taking any state run buses for this trip. If you are looking to make an overnight stop, Kullu (for normal Himachal town sight –seeing) or Kasol (more for good views and Backpacker scene) are good options. This is a definite side tip to under take depending on the time of your visit. The roads to Rohtang pass are open and safe for travel only from May-mid September.There are other forward journeys that can be undertaken for further into Leh and Ladakh. How to Reach Manali ? A distance of about 550 km from Delhi, buses connects Manali with Delhi, Shimla, Dharamsala and Leh. It takes around 18 hours to travel Manali from Delhi. From Ambala, the distance to Manali is about 10 hours; and from Kullu to Manali it takes just about 1.5 to 3 hours. Private taxis also ply to Manali provided the driver is well acquainted with the hilly areas. Knowing the roads is absolutely essential while going through the hilly regions. The nearby Broad Gauge Rail Head is Ambala Cantt (200 km) or Chandigarh (250 km) from Delhi. The adjoining airport is Bhuntar Airport just about 50 km from Manali, 10 km from Kullu, and takes only about two hours to travel. The airliners that take you to this Airport are Indian Airlines, Kingfisher airlines, MDLR Airlines andJagson Airlines, operating flights from Delhi and Chandigarh to Kullu.